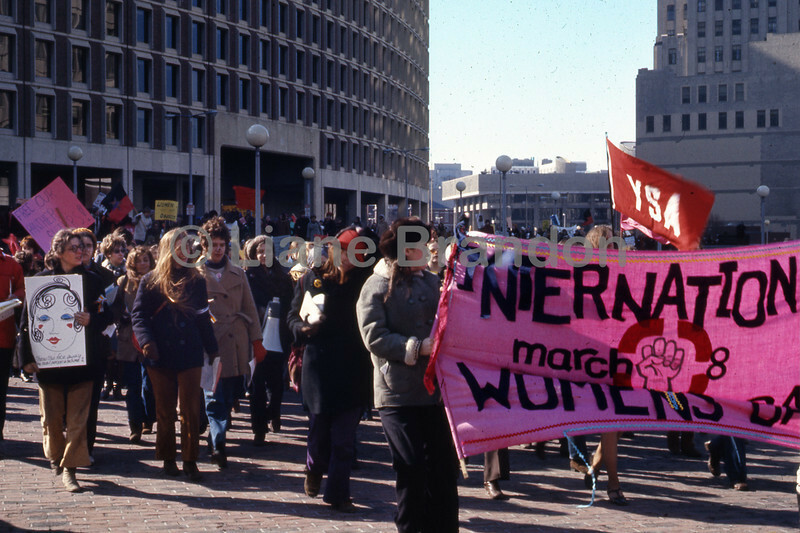 Photographed at the International Women's Day March in Boston, March 8, 1970. The march was organized by Bread and Roses, one of the first women's liberation organizations in the U.S. The photographer was a member.